It’s only natural to take your car’s alignment for granted. After all, it can be difficult to notice signs of misalignment, no matter how many years of driving you have under your belt. Misalignment can cause major problems for your car, eventually leading to massive repair bills. When it comes to wheel alignment, there’s only one source you can trust. 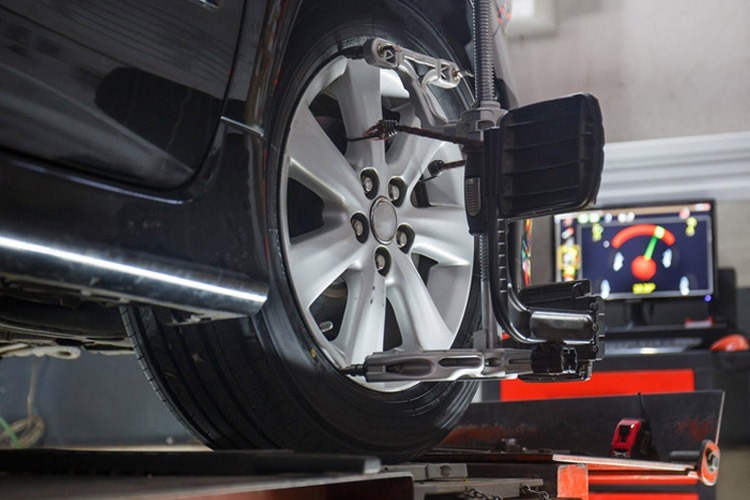 With a Hunter computerized laser wheel alignment, you can be sure your car is correctly aligned and ready to drive. Tires can seem like an annoying expense. As long as they still have air in them, they’re fine, right? Wrong. Bald, under-inflated, or damaged tires can all negatively impact gas mileage and put you and your family at risk. If you think you need new tires or simply want an expert option, call us today! With a wide inventory to ensure you get the right product you need for your car, Spectra is always here to help. Contact us today to request a tire & alignment appointment. You can count on our repair shop for an honest and reliable diagnosis of problems and quality repair.